Paradise Palms has announced as part of the Mercedes Benz Cairns Classic for 2017 that 1991 US PGA Champion Wayne Grady will take part in the two-day Legends Tour Section of the tournament. Paradise Palms General Manager, Declan McCollam has also confirmed the return of the inaugural Daikyo Cup winner and 25-time winner on the world tours Brian Jones as a competitor. 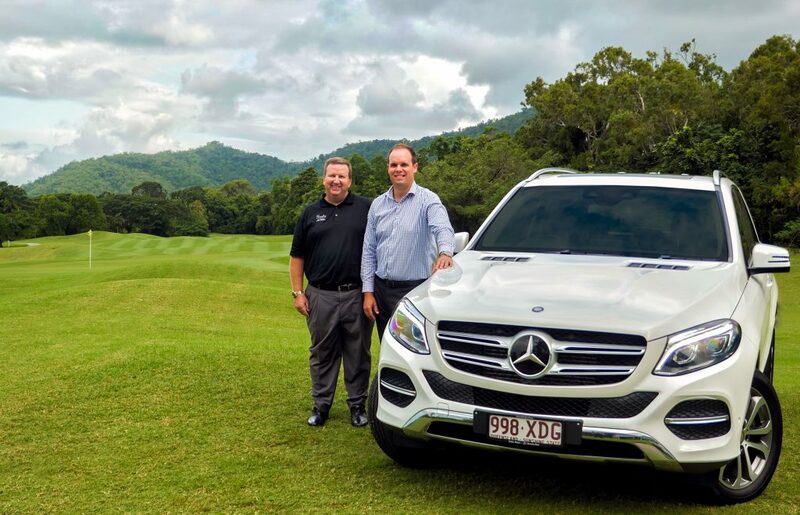 This year’s event, sponsored by Mercedes Benz of Cairns is a first in Australian Professional Golf hosting three different Tours playing in one combined event, Friday June 16th through Sunday June 18th 2017. The Australian PGA Tour Pro Am Series and Legends Tour (Seniors Tour) will each play for $25,000 in prize money and the ALPG tour (Ladies Tour) will play for $10,000 with their field being limited to 10 players. McCollam said that it was agreed by all involved in the event that a three-tour combined event totalling $60,000 in prize money was good for the game of golf and even better for the local region in promoting Cairns as a golfing destination. Paradise Palms has launched an advertising campaign in the US and Europe with golf travel partners to promote the region as a golfing destination with the Barrier Reef as a major attraction. McCollam said with the title sponsorship going to Mercedes Benz one of the world’s leading luxury car manufacturers and their worldwide involvement in golf is a great fit for both Paradise Palms and Mercedes Benz.